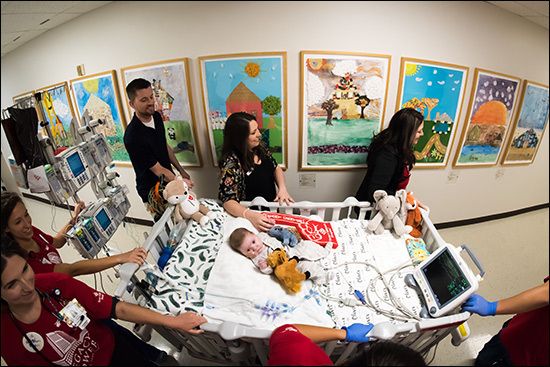 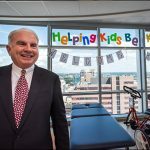 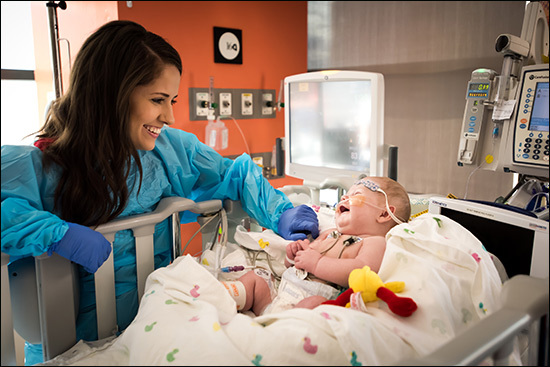 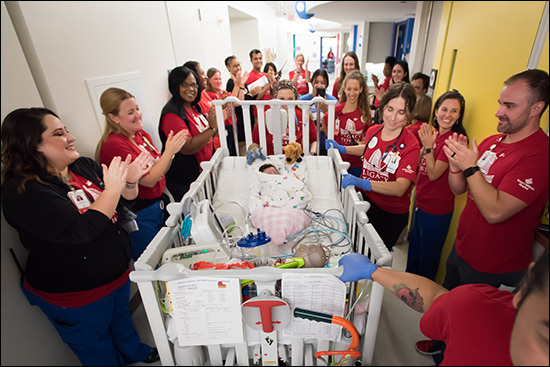 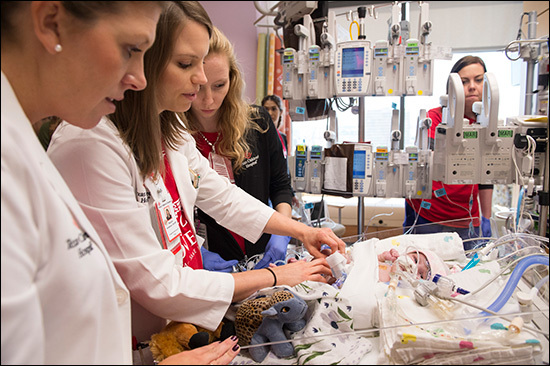 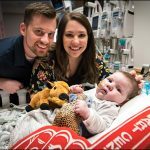 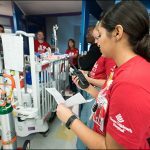 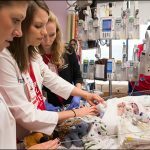 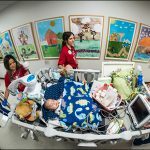 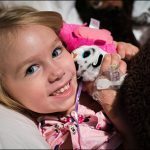 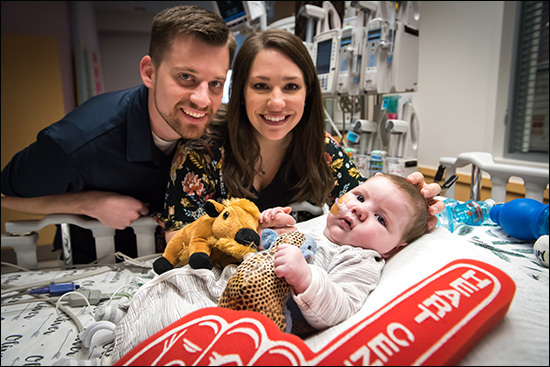 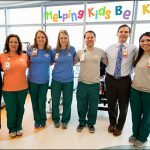 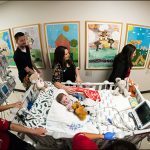 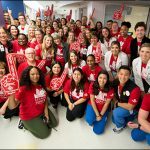 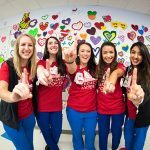 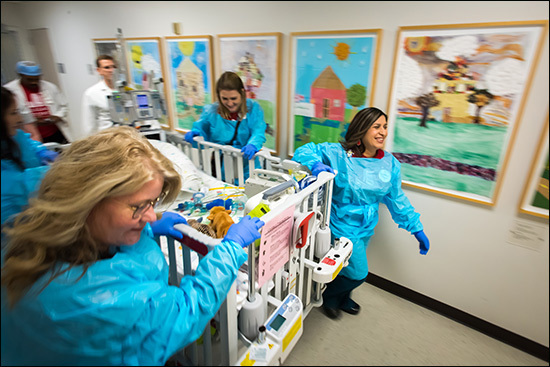 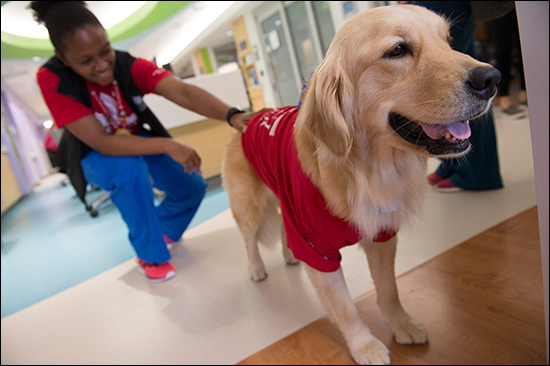 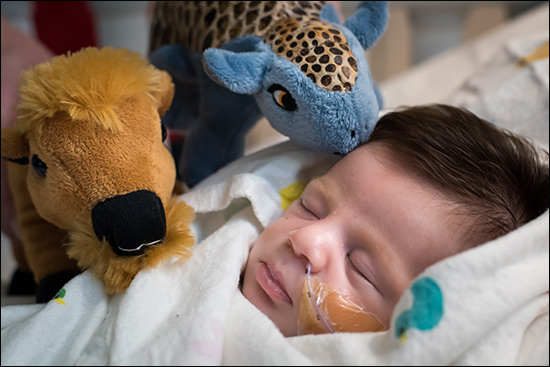 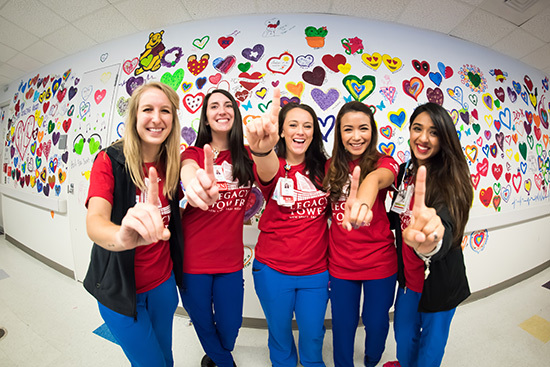 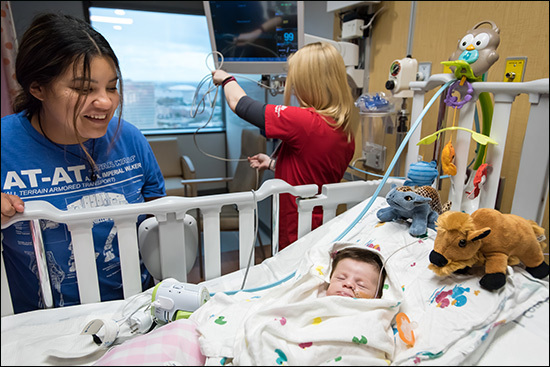 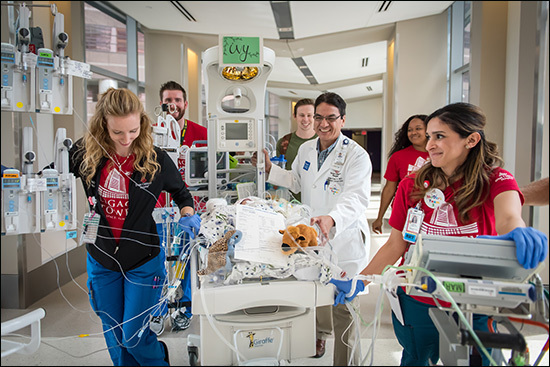 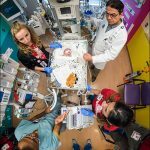 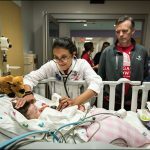 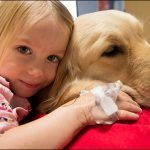 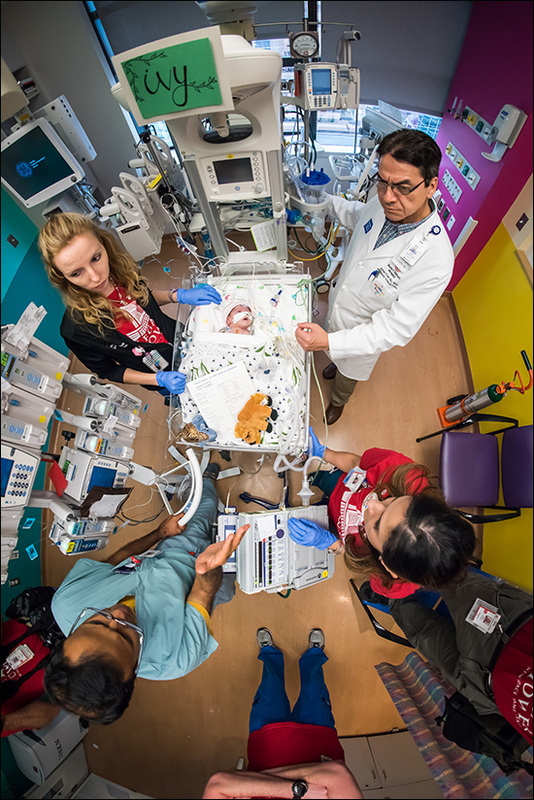 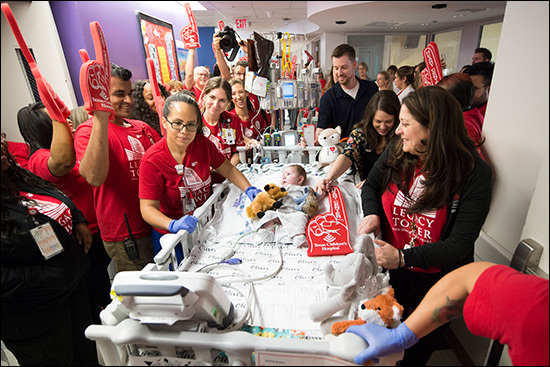 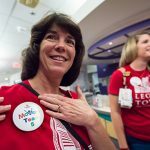 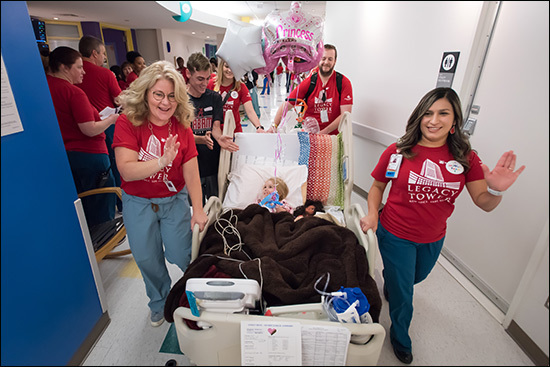 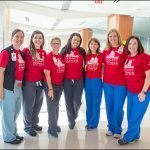 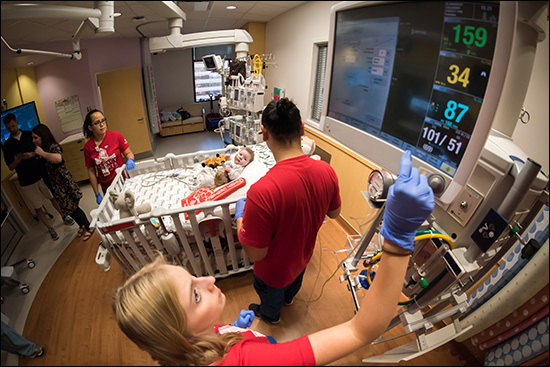 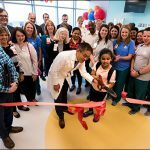 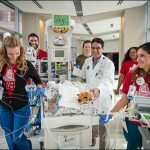 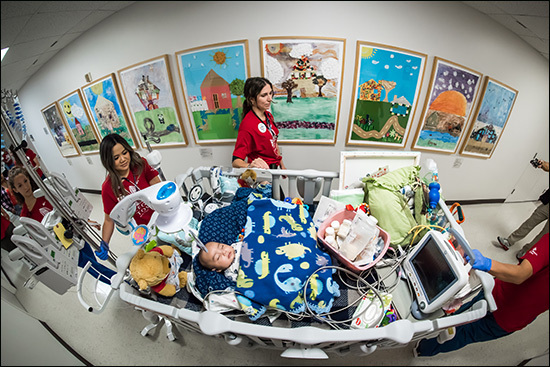 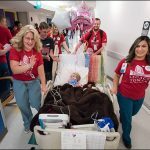 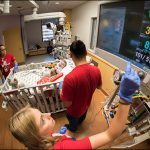 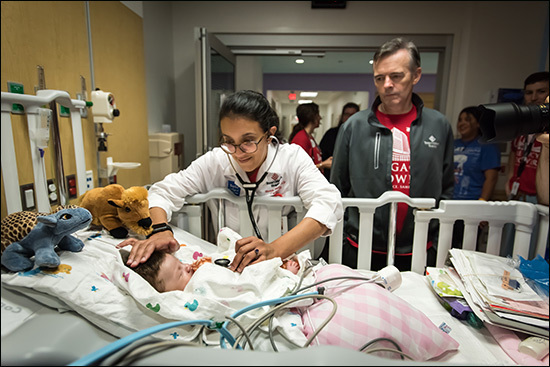 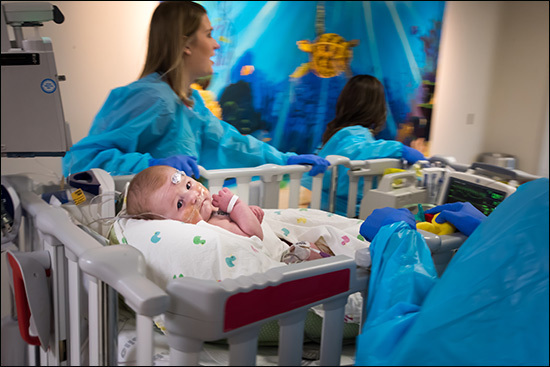 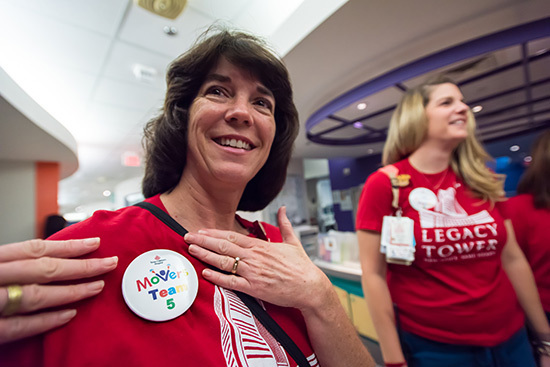 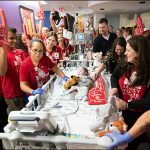 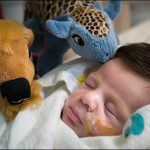 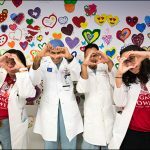 Last week was monumental for Texas Children’s with the move of our No. 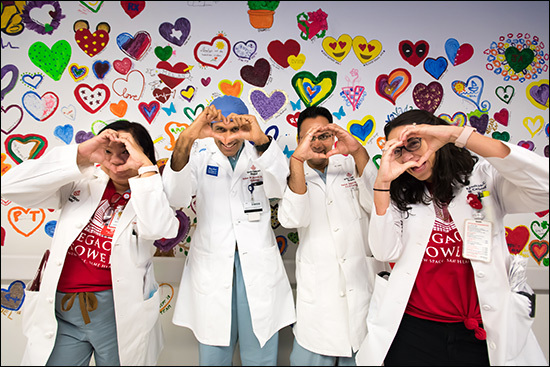 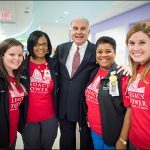 1 ranked Heart Center into the new state-of-the-art Legacy Tower. 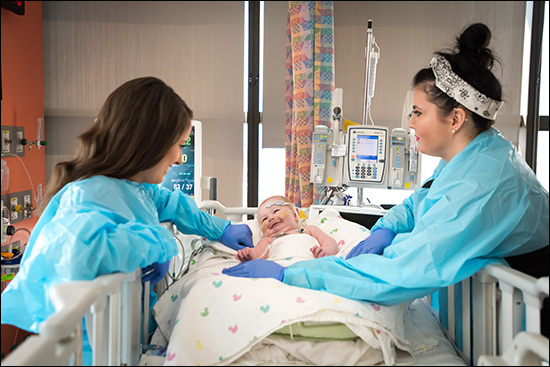 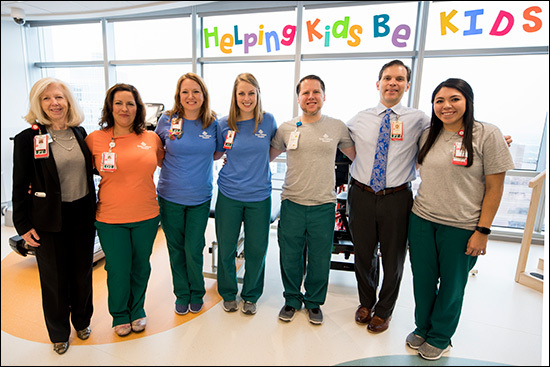 The milestone came just months after the historic May 22 move of our pediatric intensive care and progressive care units into the spacious, high-tech tower adjacent to the Texas Children’s Pavilion for Women and across the street from Mark Wallace Tower. 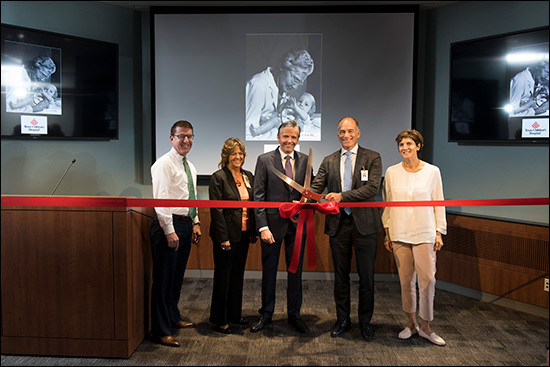 View photos below from the move and the events that followed. 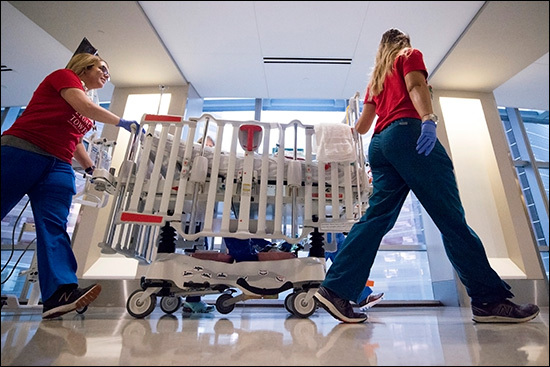 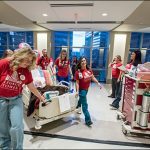 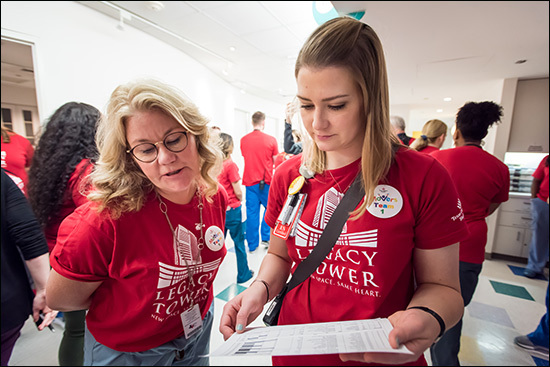 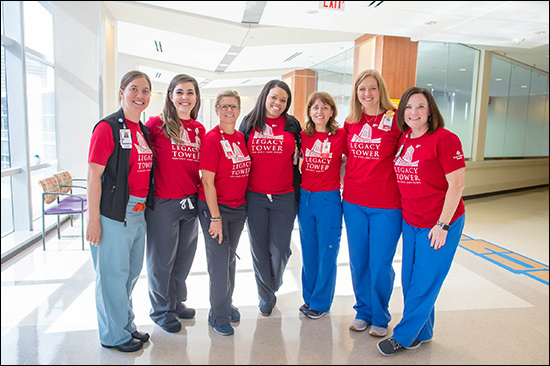 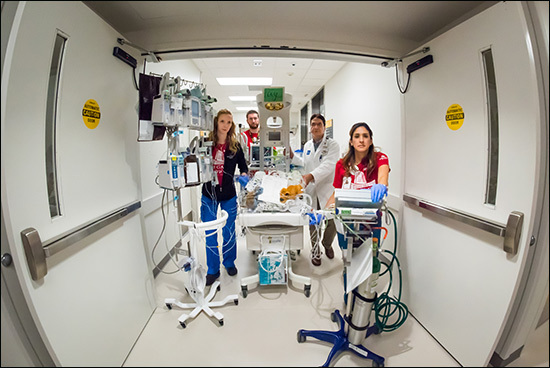 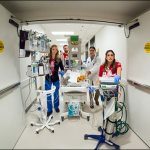 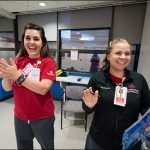 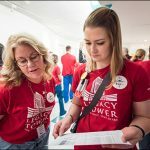 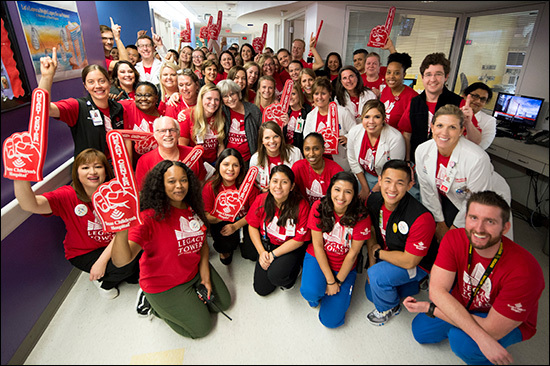 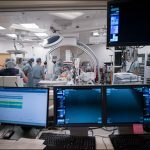 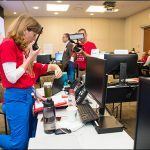 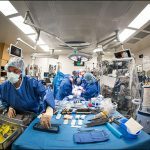 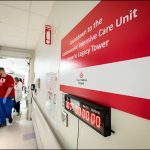 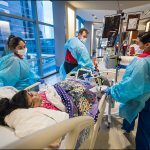 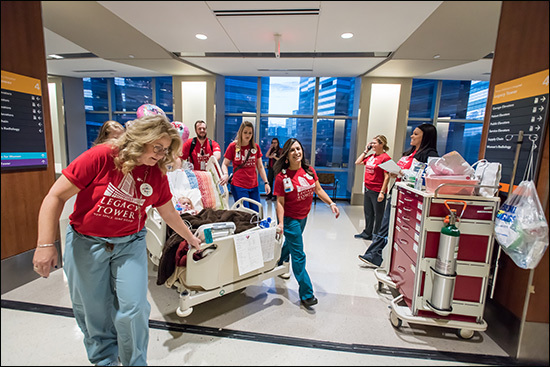 Over the course of about eight hours on September 25, six specially-trained clinical teams comprised of more than 200 members transported 64 heart patients, some critically ill, safely to their new, state-of-the-art rooms in Legacy Tower. 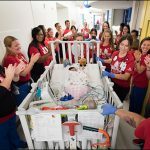 The patients ranged in age from 3 days to 22 years. 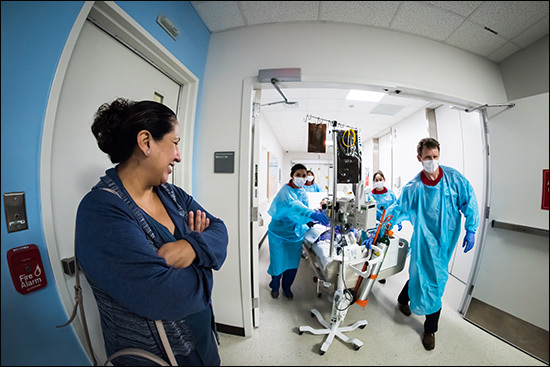 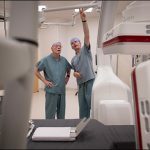 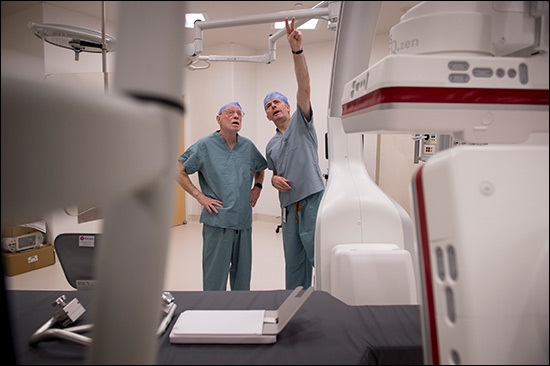 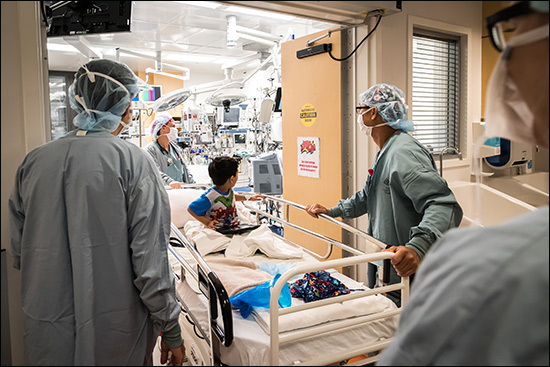 The following day, on September 26, 11-year-old Colin Rankin of Dallas, became the first patient to undergo a cardiac catheterization procedure and an intra-cath MRI in Legacy Tower at the Heart Center’s new Charles E. Mullins, M.D. 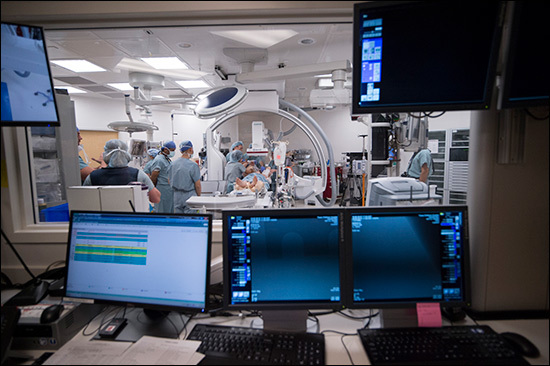 Cardiac Catheterization Laboratories. 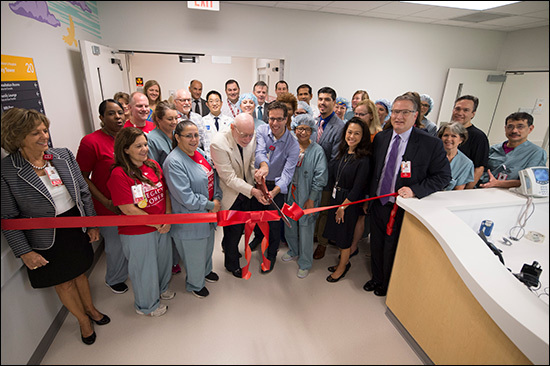 Moments before Colin’s procedure, performed by Dr. Athar Qureshi, a ribbon cutting ceremony was held to commemorate the opening of our four new catheterization labs and integrated MRI. 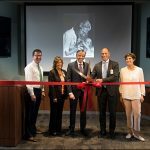 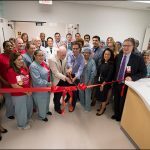 Dr. Charles E. Mullins, the pioneering Texas Children’s physician and father of modern interventional pediatric cardiology for whom the suite of labs are named, was present at the ceremony and cut the ribbon along with Dr. Henri Justino, director of the Mullins Cardiac Catheterization Labs. 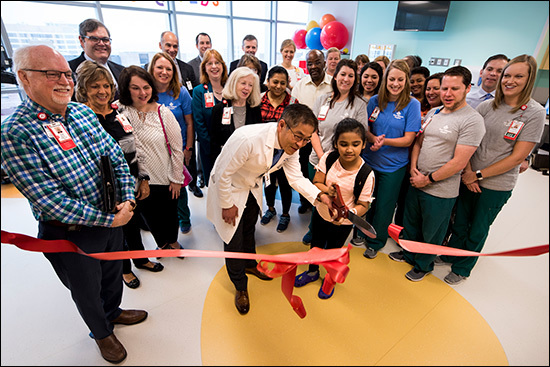 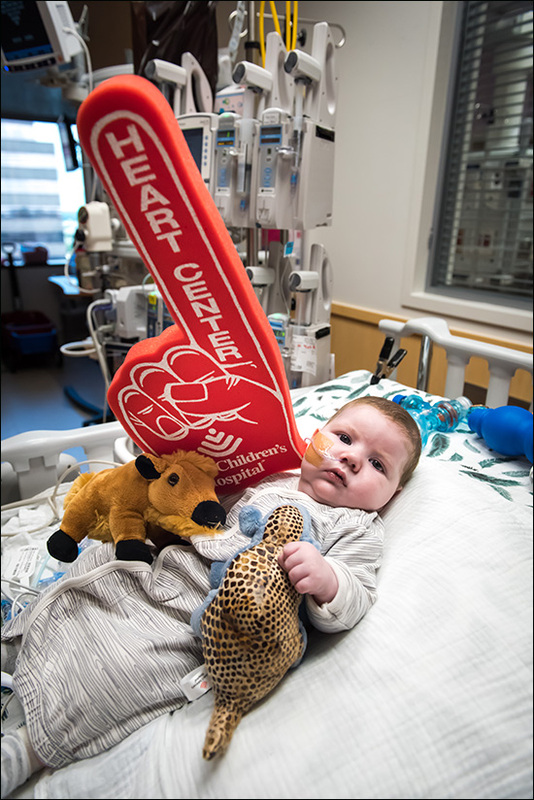 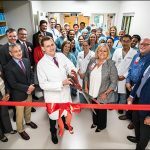 On September 27, Associate Chief of Congenital Heart Surgery Dr. Jeff Heinle cut the ribbon to officially open the Heart Center’s new cardiovascular operating rooms, and to usher in a new era of cardiac surgery at Texas Children’s. 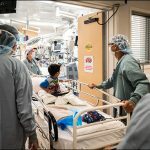 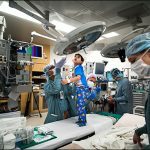 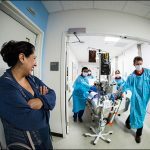 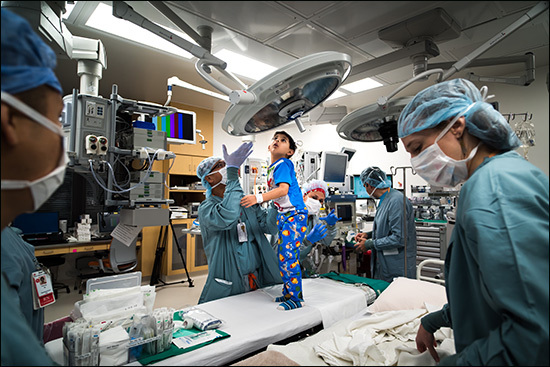 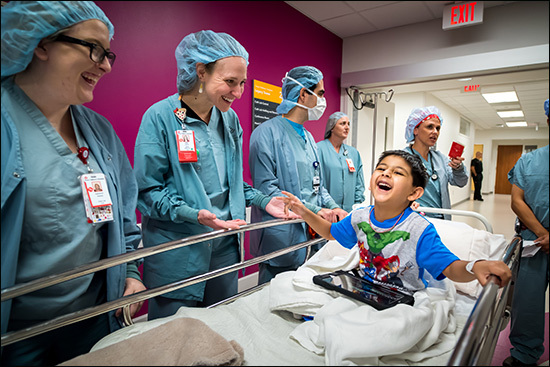 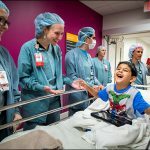 Later that morning, 4-year-old Rizan Merchant underwent the first surgical intervention in the expansive new space – a Fontan procedure, performed by Heinle. 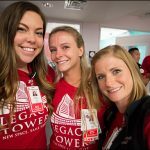 And on October 1, patients received treatment for the first time in the new Legacy Tower Therapy Gym. 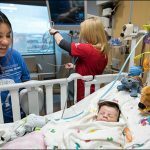 The gym is a powerful resource to help children and parents learn and focus on what they can do, rather than what they can’t. 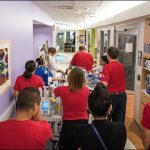 Features include machines for building core strength and balance, exercise bikes, and a bathtub and set of stairs for parents to practice everyday tasks at home with their children. 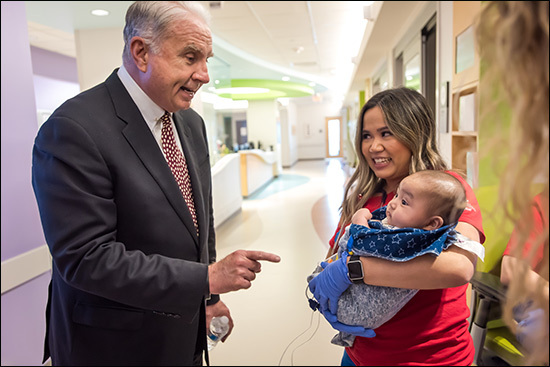 A week before the move, patients and families entered the doors of the Heart Center’s new outpatient clinic for the first time. 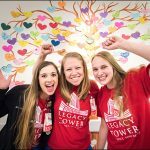 Situated on the 21st and 22nd floors of Legacy Tower, the clinic is designed top to bottom with Texas Children’s families in mind. 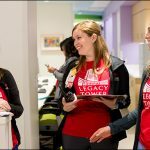 The bright, welcoming space was specially configured to offer a more personal approach to care, and to handle high clinical volume. 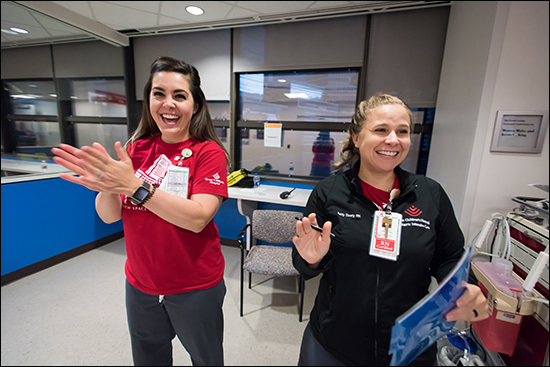 During the first afternoon clinic session, 25 patients were seen, and 18 outpatient echocardiograms and 18 outpatient ECGs were performed. 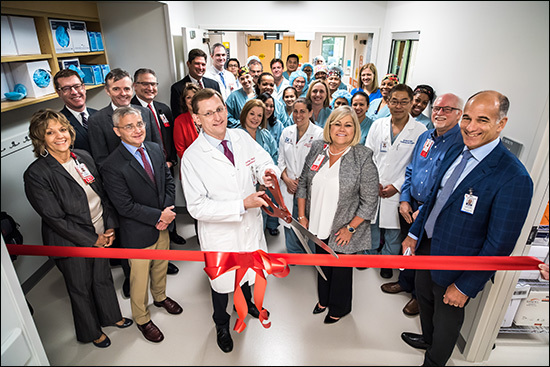 To read more about the new Outpatient Clinic, click here. 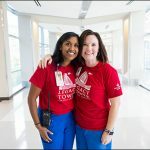 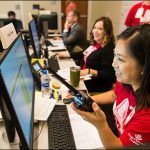 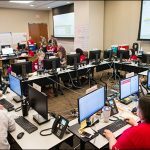 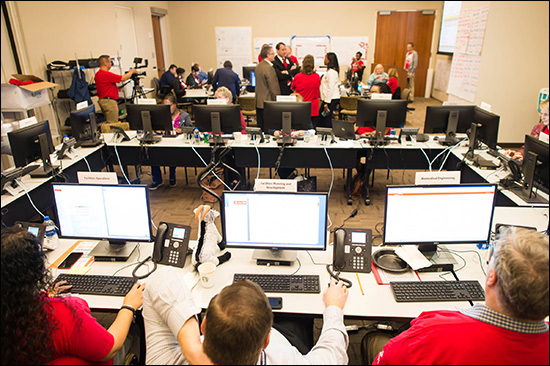 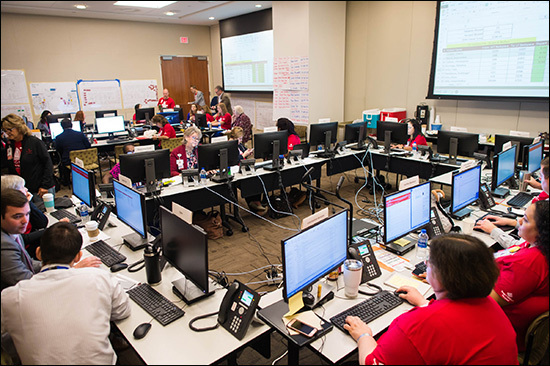 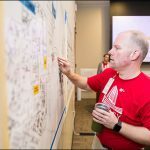 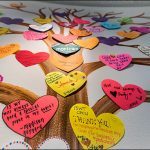 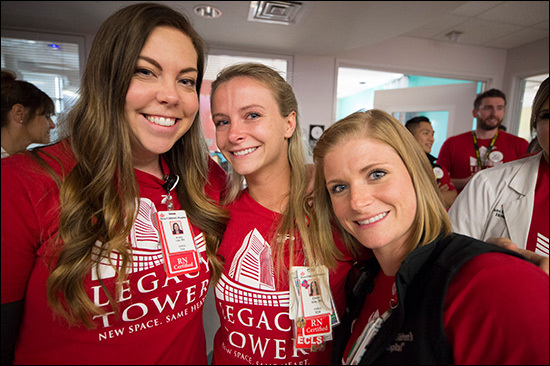 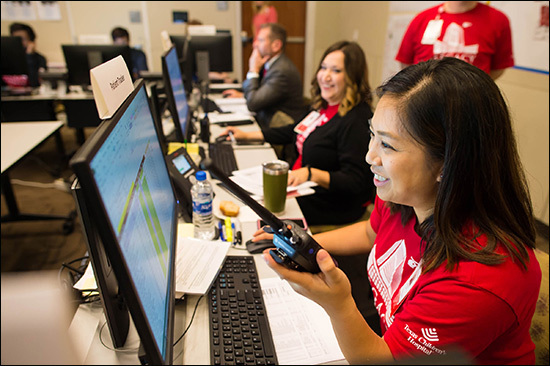 Throughout the entire move and for days afterward, the Legacy Tower Go Live Support Center was set up on the fourth floor of the Pavilion for Women and comprised of hundreds of individuals from across the hospital system who focused on patient move tracking from West Tower to Legacy Tower. 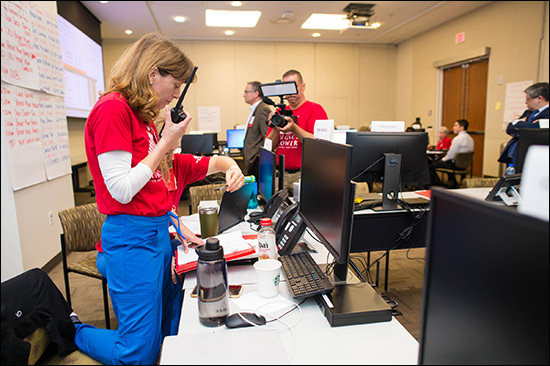 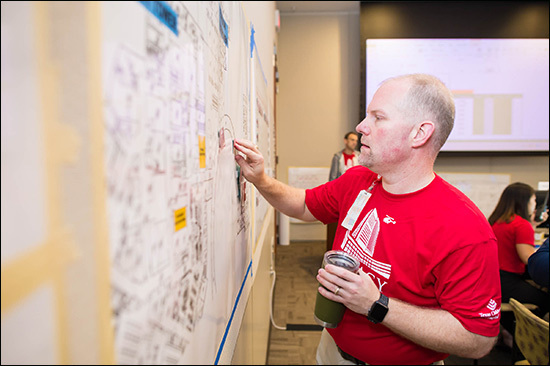 The team included support staff from Supply Chain, Security, BioMedical Engineering, Facilities Operations, Information Services, Pharmacy and Respiratory Care. 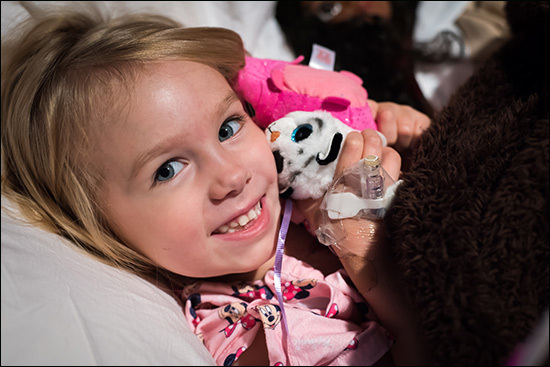 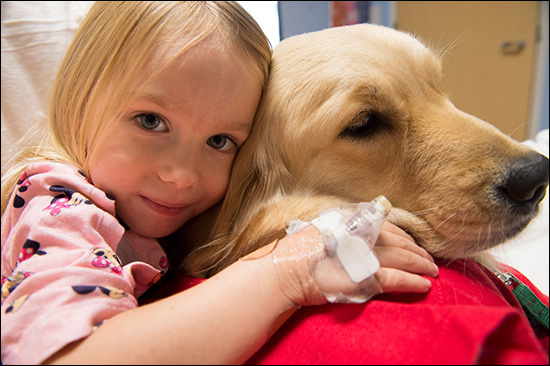 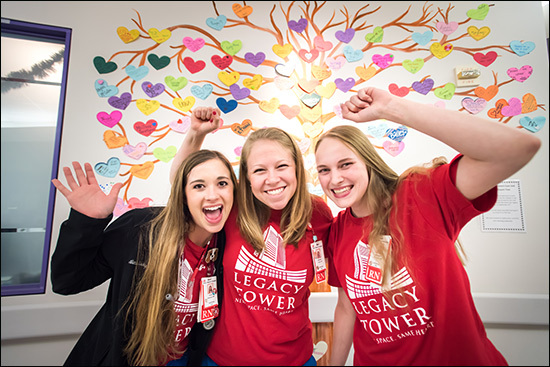 Texas Children’s started planning for Legacy Tower more than five years ago as an effort to reinvest in the programs our most critically ill patients need. 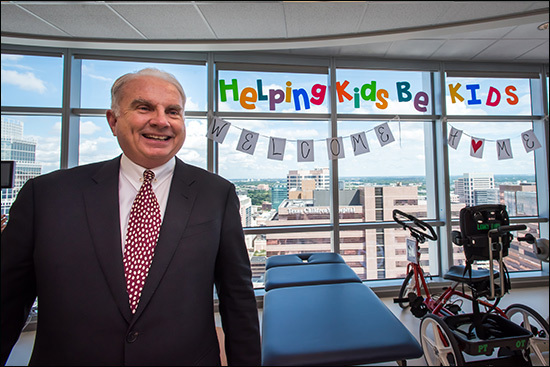 Demand for these services continues to grow – here in our community and far beyond Houston. 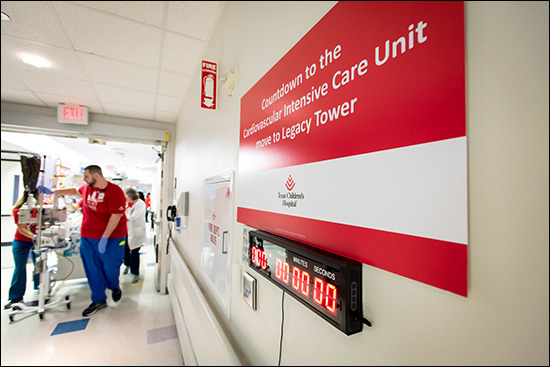 And prior to Legacy Tower, our core areas – Critical Care, Emergency Center and ORS/PACU – were often at capacity. 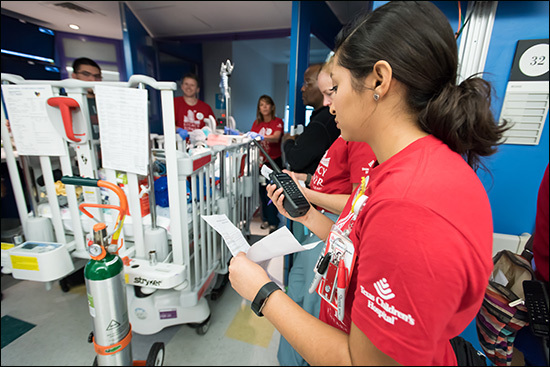 As an organization, we needed to make changes that advance quality, service, safety and strategic growth. 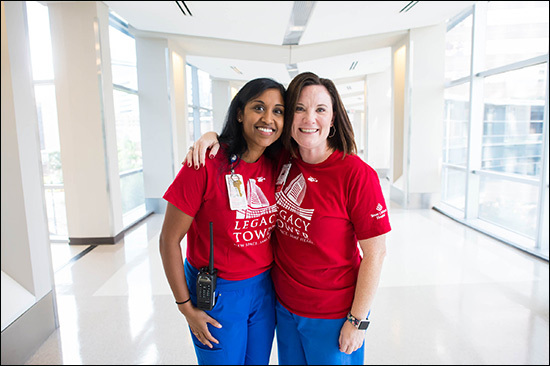 We needed to broaden our expertise and better coordinate care to improve the experiences of our patients and their families. 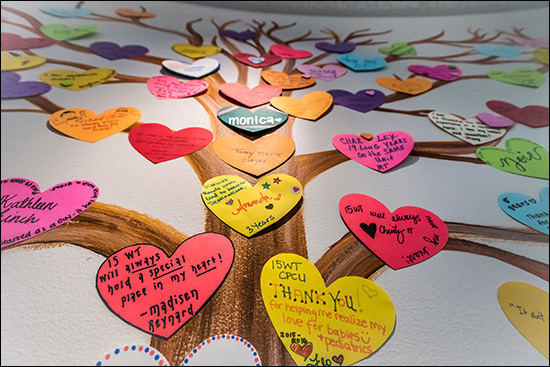 And we needed to expand our access to make certain we do not have to turn children away when they need us most. 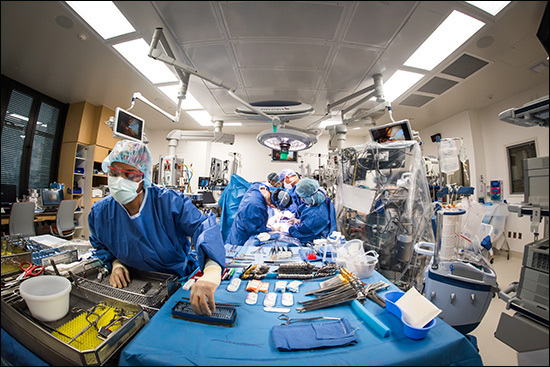 – 4 cardiac catheterization labs. 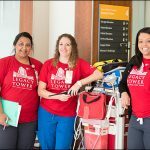 A helistop atop Legacy Tower is scheduled to open in November. 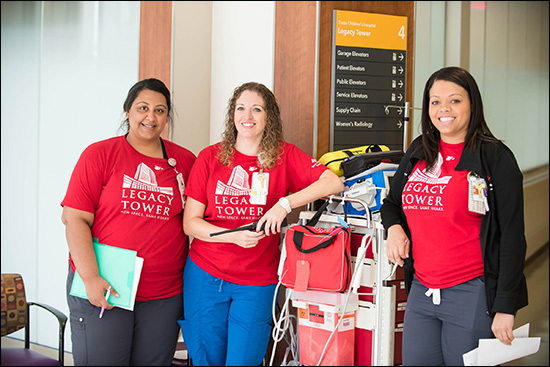 For our clinical staff, Legacy Tower will give them a better place to do what they do best – treat some of our most critically ill patients. 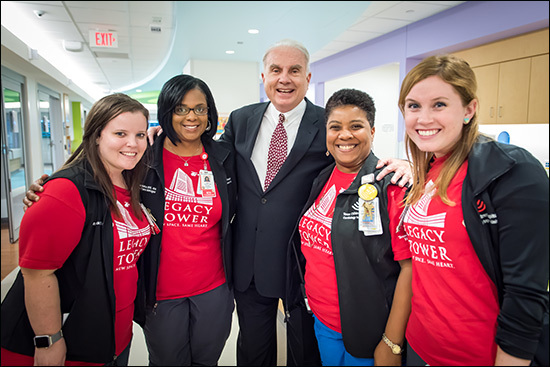 It also will position them to continue to provide some of the best pediatric care in the world. 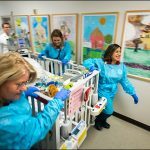 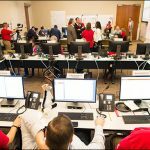 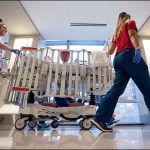 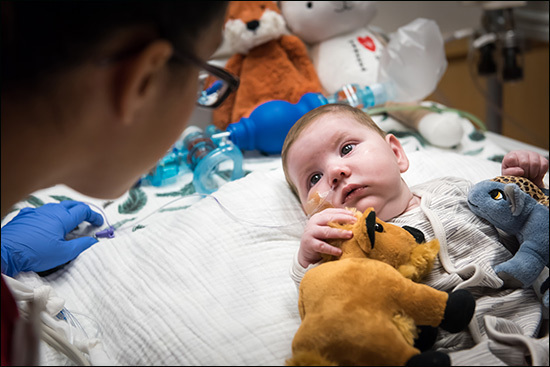 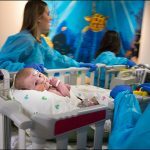 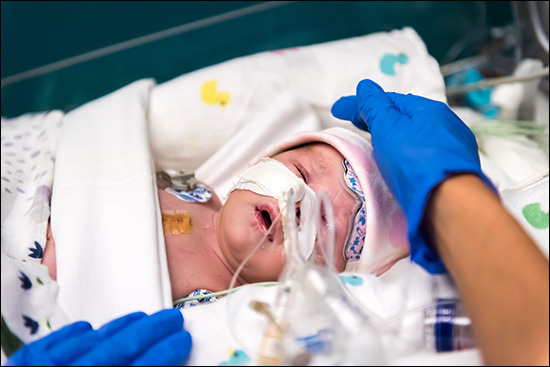 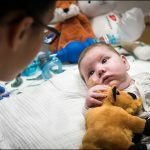 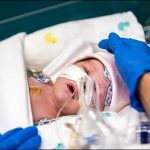 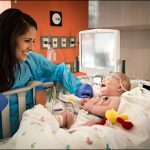 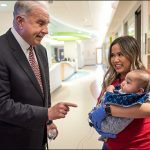 All of this sets Texas Children’s apart, Caldarone said, adding that the only way to stay ahead of everyone else is make sure we bring all the expertise available to bear to every decision for every baby in a timely manner. 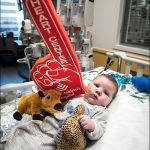 Chief of Pediatric Cardiology Dr. Daniel Penny said everything about the new Heart Center is about reducing the impact of heart disease on children and on their families. 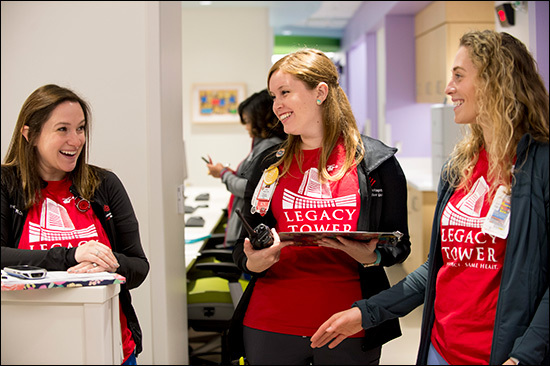 Dr. Lara Shekerdemian, service chief of Critical Care Services, said everyone is extremely excited about Legacy Tower, the additional capacity it provides and the overall better environment it has made available to patients, families and staff. 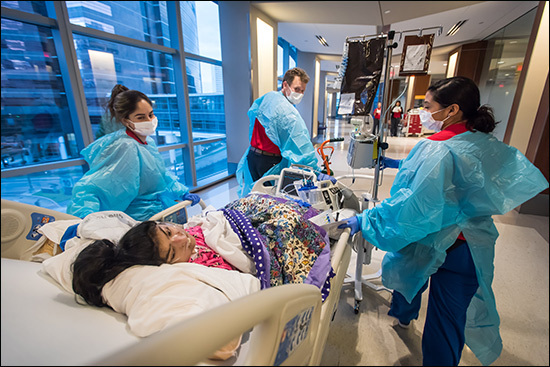 Patient rooms, Shekerdemian noted, are twice the size of the old rooms in West Towers. 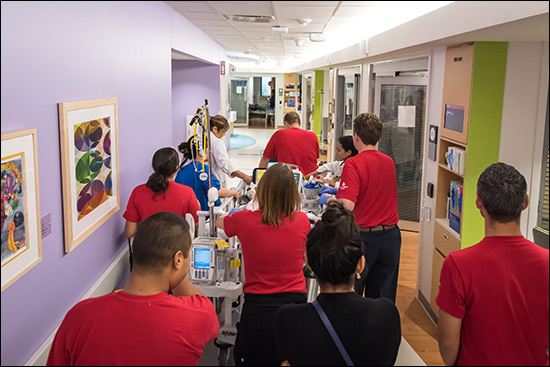 Dedicated family space has been incorporated into the design of the building and each inpatient room has its own bathroom.